Location. 34° 56.115′ N, 79° 46.68′ W. Marker is in Rockingham, North Carolina, in Richmond County. Touch for map. 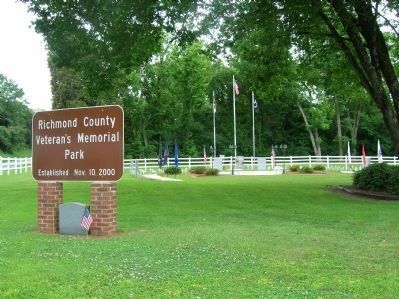 Located in the Richmond County Veteran's Memorial Park. 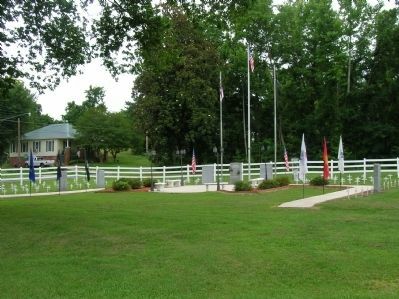 Marker is in this post office area: Rockingham NC 28379, United States of America. Touch for directions. 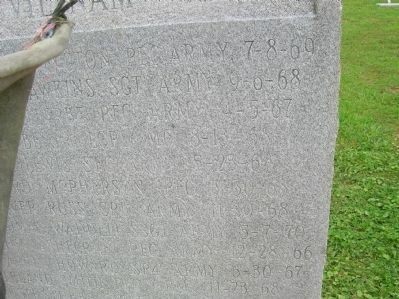 Richmond County Iraq & Afghanistan War Memorial (a few steps from this marker); Richmond County Veterans Memorial (a few steps from this marker); Richmond County War Memorial (a few steps from this marker); Cameron Morrison (approx. 0.3 miles away); Alfred Dockery (approx. 0.3 miles away); Henry William Harrington (approx. 0.3 miles away). 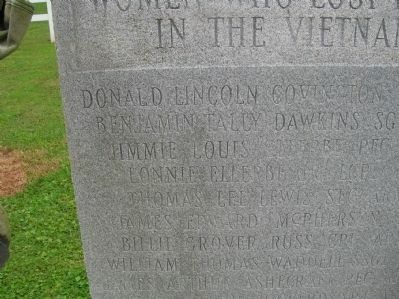 Touch for a list and map of all markers in Rockingham. More. 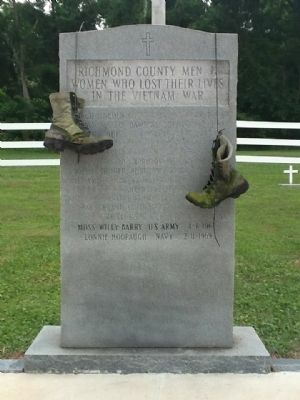 Search the internet for Richmond County Vietnam War Memorial. Credits. This page was last revised on June 16, 2016. 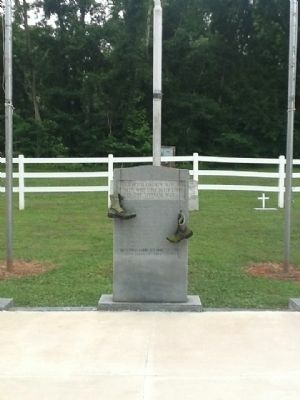 This page originally submitted on June 24, 2012, by Michael C. Wilcox of Winston-Salem, North Carolina. This page has been viewed 455 times since then and 10 times this year. 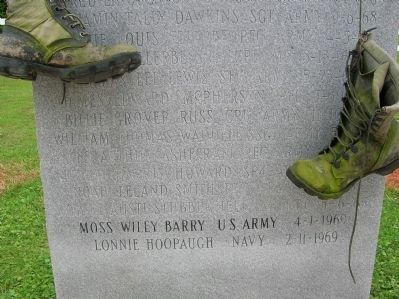 Photos: 1, 2, 3, 4, 5, 6, 7. submitted on June 24, 2012, by Michael C. Wilcox of Winston-Salem, North Carolina. • Craig Swain was the editor who published this page.